used by medical professionals throughout the world. Each and every day, your digestive system is charged with handing approximately 2 gallons of food, liquids, and bodily secretions. As lifestyles have changed and processed foods become more common place the job of your bowlels and colon has got harder. Junk food is not easy for your colon to deal with and as a result western nations have become the most constipated on earth. Ideally we should have a bowel movement after each meal, but most people in the West are lucky if they have one per day. The result is that waste starts to collect and pile up within your colon and it becomes impacted. The result? Constipation, bloating, irritation, and overall poor intestinal health. Your colon needs help to clean itself and Oxy-Powder may help you do it. Oxy Powder has been praised by many celebreties and models, whilst featuring in top magazines such as Style, Marie-Claire, Bella and Time Out. For many people the first sign of constipation is to reach for the laxatives. The problem is that for some this can cause unpleasant side effects, whilst in the long term it is counter-productive and can actually make your constipation worse. Now there is an alternative. Oxy Powder works quickly and effectively. Oxy Powder, as the name suggests, time-releases oxygen into digestive system over an 18 hour period to turn your waste into a liquid form. This may allow effort free and regular bowel movements, whilst carefully removing sludge and other compacted and old body waste which can provide a clean and healthy digestive tract. Having clean bowels can relieve the discomfort associated with constipation and bloating, and it may also help you feel and look better. You may have more energy, a flatter tummy and it may also improve your immune system - having clean boweld is one of the best ways to prevent most diseases in later life. Oxy-Powder truly is the in-vogue colon cleanser of today. Get yours today and enjoy the oxy freedom. Effective for bloating and constipation symptoms. May promote a healthy colon and encourage regular bowel activity. Depending on personal weight, exercise habits and levels of stress. It is recommended to take the 7 Day Dosage. Take 4 capsules with a full 8oz glass of water, before bedtime. If you do not have 3-5 regular bowel movements the following day, take an additional 2 capsules. Gradually increase until you achieve the dosage required for you to achieve 3-5 regular bowel movements the following day. This is your optimum dose. 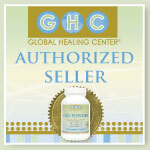 Once you have established your optimum dose continue using for seven consecutive days for the initial cleanse. Thereafter, for maintenance take your optimum dose 2-3 times per week or as needed. The manufacturer suggests taking it last thing at night. If you do this please make sure to take it at least 4 hours after your evening meal when your stomach is empty. You may prefer to take it first thing in the morning, 60 minutes before any food is taken instead. This will prevent your tummy rumbling all night, which a few customers have complained has been a problem for them. Take on an empty stomach, and avoid food for at least 45 minutes afterwards. Do not use supplements as a substitute for a balanced and healthy diet.